You're off to college. 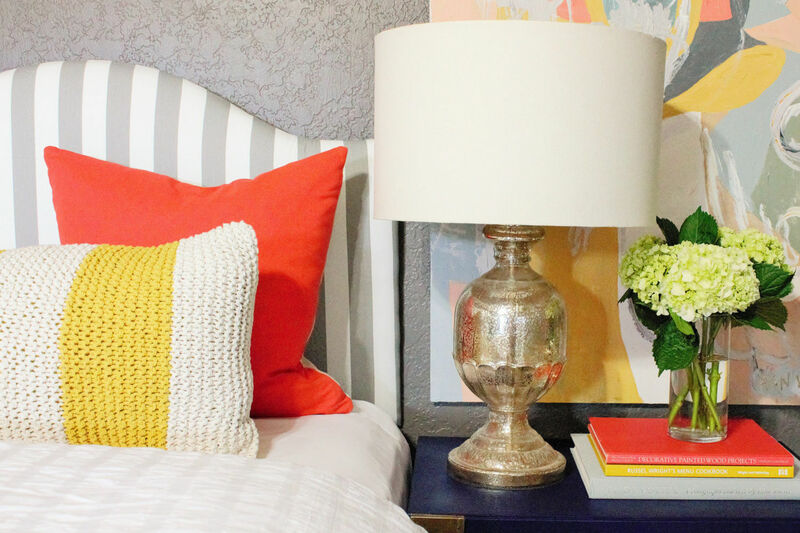 Here are decor ideas that will make your dorm room feel like home. On first glance, dorm rooms are not the most appealing places to live. They’re often old, and can have unappealing qualities like small windows, severe cinderblock walls, aging carpeting, and painfully small closets. But there’s no need to fret! You should approach these spare spaces like a blank canvas. With a little extra work, you can make these plain jane bedrooms into the cozy hideaway you’ve always wished for. All you need to do is tap into your creative side and select dorm decor that suits the space—and your personal style! Allow these unique dorm room ideas to inspire you! Growing up doesn’t mean that you have to abandon your love of everything girly. Allow your college dorm to channel your feminine side with soft shades, romantic florals, and cozy fabrics that are ideal for the unapologetically preppy! Transforming your dorm into a coastal-style sanctuary can provide a much-needed retreat from the chaos of campus life. Whether you’re inspired by the tropical beaches of the Caribbean or the rock-strewn shores of New England, you can custom curate your decorations to create a nautical bedroom that suits your fancy. If you’re the kind of girl that thought about backpacking Europe instead of heading for college, then a boho style dorm will be right up your alley! Combine vibrant colors, busy patterns, and eclectic decorations from around the globe to create that flower child feel. Whether your college is located in the countryside or a city center, combining woodsy details with cabin-worthy furnishings will create a picture perfect refuge for the wild-at-heart. Design your dorm room to harken back to simpler times with rustic elements like raw woods, natural fabrics, and vintage-inspired details. Ever been called a tomboy? Then you might prefer this varsity-style college dorm that nixes the frills. Simple fabrics, contemporary furnishings, and sporty touches come together to create a practical space that is free of fuss and muss. In many ways, the bed is the centerpiece of any dorm room. They set the look and feel of the space as soon as you set foot in the door. Take a peek at this wide selection of chic XL Twin bedding, as well as room-defining headboards that are sure to suit any college gal’s style! Defined by delicate geometric patterns in soft grays, yellows, and whites, this bedding set will brighten even the dingiest dorm room. The carrying bag and machine-washable fabric makes this dorm bedding set a must-have for college students on the go! Classic florals meet Monet watercolors in the bluebellgray Juliette Bedding Set. Dusty pink and soft yellow hues blend together to create a distinctly feminine and artistic centerpiece to any dorm room. Minimalism shines in the simple and clean Wonky Grid Comforter Snooze Set. This elegant crisscrossed comforter, sheets, pillowcase, and laundry bag set is ideal for building a calm haven away from the hustle and bustle of class. If you’ve been searching for a singular centerpiece to your room, then you’ve found your match in the Assembly Home Marble Duvet Cover. Making a great addition to any type of dorm room decor, this one-of-a-kind marble patterned duvet will light up a space with its originality. Make your room glam in gold with this Emily & Meritt Metallic Dottie Duvet Cover and Sham. This showstopping design combines a crisp white base with printed gold polka dots to create a captivating focal point to cute dorm rooms. Ever wanted to sleep on a cloud? Now you finally can with the fanciful Cloud Comforter and Sham. Soft fabric and a whimsical watercolor-style print combines to create the ideal setting for gently drifting into dreamland. With its raw appeal and understated design, the Kyah Textured Comforter is an ideal fit for any rustic or industrial dorm room. This comforter is soft to the touch while still offering an austere charm with its burlap-like look and hand stitching. This Black Wicker Headboard bridges the gap between upscale elegance and shabby chic. Intricate handwoven patterns, natural rattan materials, and a sophisticated black finish offer a great piece for pulling together your picture-perfect dorm room. There are some essentials that every college student needs, but the practical things don’t have to cramp your style! Carefully selecting items that match your interior design sensibilities can be challenging, but these dorm room essentials artfully intertwine style and functionality. Minimalism and affordability meet in the Westinghouse Commercial Cool 3.2 Cu. Ft. Compact Refrigerator. With a freezer compartment and adjustable shelving, this unimposing mini fridge will keep your food from spoiling without breaking the bank! The Snackmate 3.2 cu. ft. Combination Mini Refrigerator and Microwave is a great all-in-one cooking package for any dorm room. The microwave, freezer section, and canned beverage dispenser are only some of the wonderful features this affordable mini fridge has to offer. Stainless steel never goes out of style, which is why the Sunpentown 3.1 Cu. Ft. Stainless Steel Mini Refrigerator is a solid purchase for any dorm room. Freezer, reversible doors, and a wide variety of storage options make this mini fridge an appealing choice for college students. Compact enough to fit anywhere you can find the extra space, Midea Electric’s 1.6 Cu. Ft. Compact Refrigerator is perfect for storing all of your food and drink essentials—without taking over the entire room! Proving that beauty and functionality can go hand-in-hand, this coral colored mini refrigerator is styled after the vintage gems of the 1950’s. Aside from a dose of retro style, this dorm refrigerator features adjustable shelving for custom storage and a built-in bottle opener. Inspired by the industrial lighting in factories, the HEKTAR Floor Lamp is an understated yet stylish accent to any dorm. But there’s more to this lamp than looks alone! The large head can provide targeted light for reading or more ambient light for illuminating the entire room. The petite Fumi Table Lamp is a creative way to decorate and illuminate your desk. With its gold mid-century style base and ombre shade, this lamp makes a striking accent light for any eclectic or boho style dorm room. Dorm lights don’t have to serve one purpose! The USB Barrington Task Lamp provides a sleek look, adjustable neck for optimizing your workflow, along with an elegantly designed organizer and USB phone charger at its base. Take the whimsical string light trend to a whole new level. Casting a romantic glow over any room, these rustic-style Faceted Bulb String Lights are a creative’s dream. String them up wherever you can imagine—the sky’s the limit! This Himalayan Glow Salt Crystal Lamp is so much more than a piece of dorm room decor! Hand-carved from real Himalayan salt crystals, this lamp emits negative ions that clear the air while casting a relaxing glow over the space. Clear acrylic furniture can be space-defining, so it’s little wonder that it’s been all the rage since its premiere in the 1930’s. Perfect for the fashion-conscious college student, the Ghost Chair provides an eye-catching accent to any dorm room desk. Dorm chairs don’t have to be fussy. After all, the simple office chair is a classic for a reason. The Modway Office Chair not only offers a clean design, but also versatility and comfort with its adjustable frame and mobile wheels. Nordic style intertwines with mid-modern design in the IRIS Shell Side Chair. Want to spice up this streamlined look? Drape with sheepskin for some extra cozy allure. It’s official: Chairs are for squares. Invoke your inner flower child with these Tufted Corduroy Floor Pillows, which come in a wide variety of colors that can be perfectly paired with dorm decorations of any style or shade. Life is too short to put your textbooks on boring shelves. The Shift Shelf provides an interesting mixture of modernism and versatility. 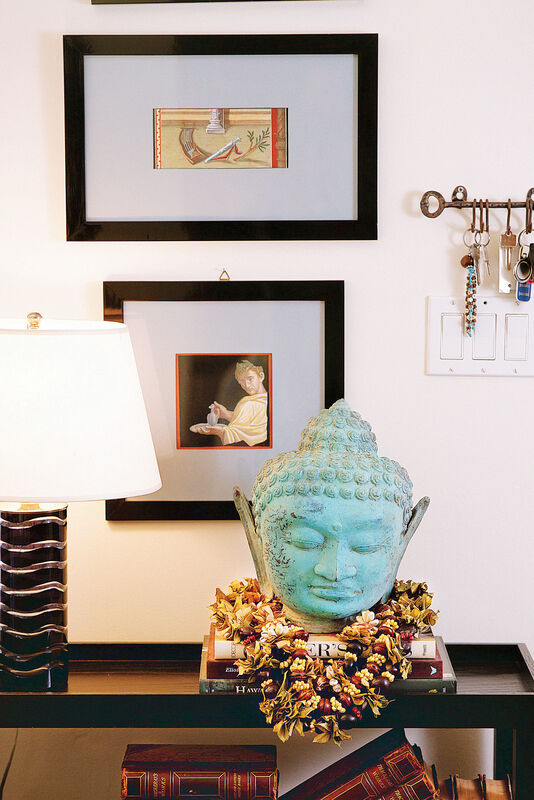 Stand it upright for a vertical shelf or place it on its side to accommodate taller items. Combining neatness with girly-chic style, the Clarity Stackable Makeup Storage Collection gives your bedroom odds-and-ends a place to live. Declutter your makeup collection and never have to search for your favorite lipstick shade again! Staying organized in small spaces is a must—including keeping your laundry off the floor. Rather than stuffing your clothes into a drawer, utilize Ikea’s SVIRA Storage Box Set to add some method to the madness. Each of these boxes fits nearly into dresser drawers so you can keep your clothing neat and wrinkle-free. Keeping your desk neat and tidy is the key to academic success -- so why not do it in style? This brass ClipNote Desk Organizer keeps all of your papers organized, so you’ll never have to shuffle papers around on your desk again! We don't often think of college dorm rooms as being "fancy," but there are two students who've put together the fanciest dorm room we've ever seen. Abby Bozeman and Lindy Goodson are freshmen at Ole Miss with an impeccable eye for interior design. When the two girls (who were strangers prior to becoming fellow Rebels at the University of Mississippi) saw their cinder block walls and dorm mattresses, they immediately went to work turning their cramped space into an elegant retreat. With tufted headboards, mirrored furniture, and matching monogrammed pillows, this dorm space is truly a work of art. Following the dorm rules of not putting holes into the walls, the girls resorted to hanging everything in their room with Command Strips. Using T.J. Maxx, Marshall's, and antique stores as their guide, Lindy and Abby transformed their dorm room on a budget. 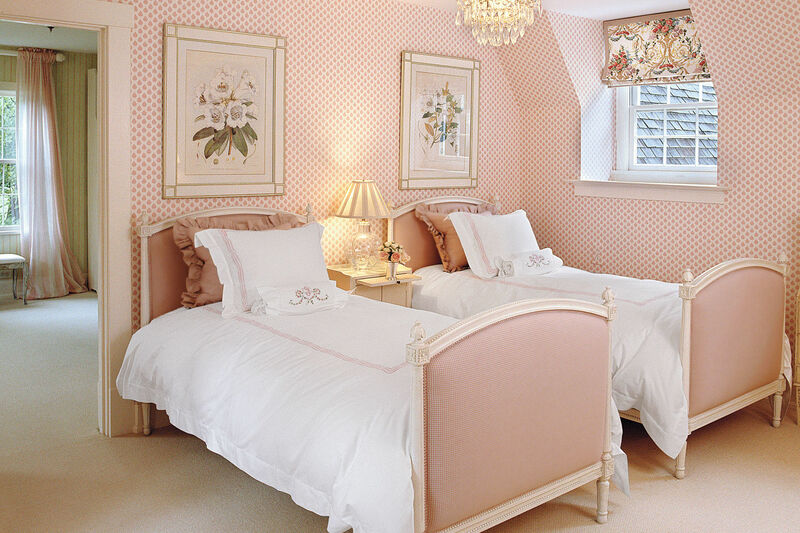 The girls did spring for custom-made headboards, pillows, and bedskirts to complete the look. Abby mentioned that she did consider interior decorating at one point, and it's something that's she picked up through the years. "I feel like it's a skill that we just acquired from our moms," she said. We joined Abby and Lindy at Ole Miss to take a look at the room that's gone viral since Lindy posted it on Twitter. 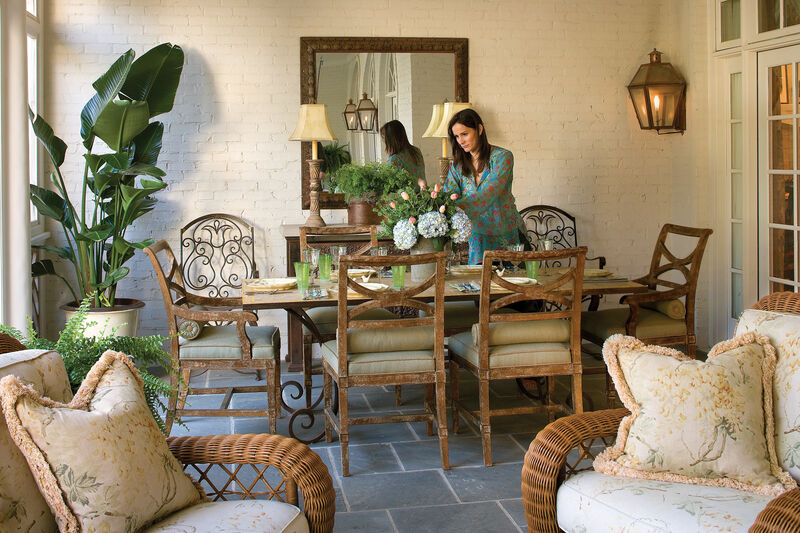 “Some of them were like, ‘I can’t believe you painted the walls,’ but we didn’t!” Lindy said. She also mentioned that other girls have reached out to ask Abby and Lindy to help them decorate their own dorm rooms (a request to which the girls enthusiastically agreed!). We're not sure what career paths that Abby and Lindy have chosen, but Chip and Joanna Gaines had better look out – these Ole Miss freshmen have the talent to take the decorating world by storm. 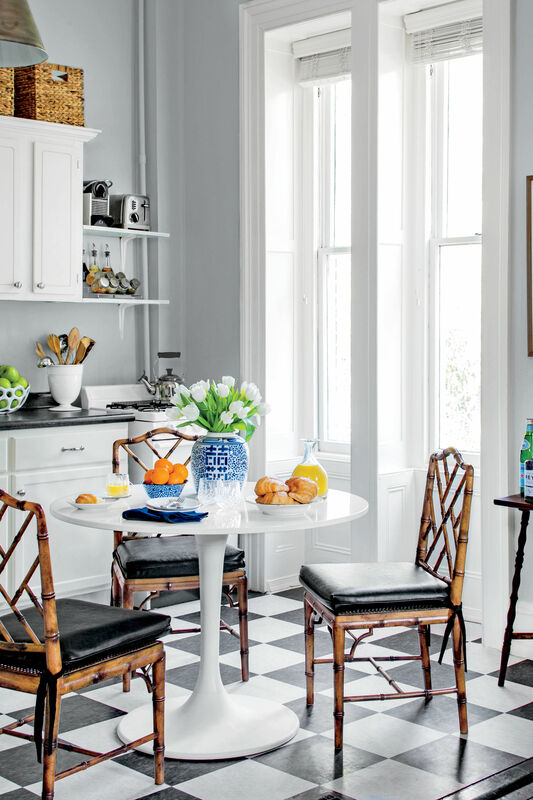 Take a peek inside this incredible room with a tour from the decorators themselves. The Jewelry Box of Treasures is your very own secret hideaway for precious jewelry and other items you might want to keep out of sight. This box is perfect for decorating your dresser or hiding away on your bookshelf. It’s said that the devil is in the details—and this saying certainly rings true when it comes to dorm room interior design! Thoughtfully selected accent pieces can be a fantastic way to express your own individual style and taste. From all-night study sessions to late nights out with friends, it’s important for college students to get enough sleep. At once stylish and practical, the Julianne Blackout Curtain blocks out heat and sunlight while adding an element of class to your dorm room. This easy-to-use Forest Copper Removable Wallpaper will make your dorm room feel like a true woodland retreat. Head-turning beauty meets convenience with this peel and stick wallpaper. In just a few minutes your cold walls will becoming the most dazzling component of the room! If you’re a science geek or lover of everything retro, then it’ll be difficult to pass up this unique Kepler 16b Vintage Space Art Poster. Modeled after 1960’s travel posters, this imaginative and affordable art series will take your dorm room decor to another world! Tapestries have risen in popularity as dorm wall decor because they provide the sumptuous feel of fabric without foregoing intricate aesthetic detail. Cloak your walls in The Great Wave Off Kanagawa, an art classic that can complement any sense of style or taste! These Flower Frolic Wall Busts are true conversation pieces! Combining fanciful florals with the rustic charm of a wall mount, these cute busts will add a little spice to any dorm gallery wall. Let’s face it: We could all use a little more zen in our life—especially when we’re overwhelmed by deadlines and assignments. Be sure to grab a few of these Nature Photoreal Pillow Covers for your campus retreat. Combine beautiful images with inspiring quotes for a little daily pick-me-up. Simplicity has never looked so good! With its neutral color palette and finely crafted beading, the Embroidered Beetle Pillow is an interesting accent to any bed or chair. Perfect for invoking the outdoors in a rustic style retreat! Plucked straight from the textile traditions of the East, these Tufted Leyland Pillows blend vibrant colors, intricate patterns, and varied textures to create an exotic interior accent. Whether purchased alone or in a set, these cute pillows will take your dorm room to faraway places. The Jefdesigns Pod Pillow gives classic floral prints a modern twist. Made from cotton and sumptuous down, this silkscreened pillow lends understated elegance to any dorm room. Blending the boundary between artistic pattern and satellite photograph, the Great Barrier Reef Square Pillow is a cozy yet eye-catching addition to any dorm room. Place on your bed or chair to bring a little sliver of paradise (and science geekery) to campus! With its cool color palette, handcrafted striping, and distinct woven look, the Issa Jumbo Ikat Rag Rug manages to make a statement without shouting over your other dorm room. Though this rug can find a home in any room, it is best suited for minimalist and boho style spaces. Forgiving natural tones, interesting geometric patterns, and stain-resistant fabric come together to make the Mossy Stone Area Rug a must-have for college students. Intertwining form and function, this dorm rug can complement any decor. Offering a playful take on the bearskin rug, this Supersoft Shearling Rug puts a glam touch on any room. Coming in soft shades of light gray and cream white, this luxurious rug lends rooms a sophisticated charm without stealing the show. Affordable yet graciously designed, the Mohawk Home Medallion Shag Area Rug is a versatile piece that can find a home in any room. Cream colored floral medallions can pair perfectly with contemporary, femme, or even boho dorm room decor! Organization meets sophistication in the Hub Full-Length Floor Mirror by Umbra. With its easel-like moveable parts, you can always find your perfect angle before heading out the door. The mirror’s ladder back is also perfect for easy storage, whether you’re draping it with scarves or hanging up your highest heels! One part mirror, one part jewelry organizer, the KARMSUND table mirror is a versatile piece that can be perched on a dresser or hung on the wall. For an extra feminine flair, add the wrought iron crown one top to complete the look. Mirror mirror on the wall, who is the prettiest kitty of them all? You! The Emily & Meritt Desktop Mirror isn’t just adorable, but also compact for easy placement and mobility -- making it the ideal choice for collegiate cat-ladies-at-heart! Dual-purpose items are a must-have when it comes to dorm room essentias. That’s why the Hanging Rectangle Mirror with Jewelry Storage is a great addition to your dorm room wall. It’s brass structure creates a distinctive rustic style, while the ideally sized mirror and hanging hooks offer functionality. Industrial mavens and lovers of everything vintage should give these Pressed Glass Photo Frames a second glance! The brassy gold has tastefully aged look, providing a sophisticated frame that can safely hold your most precious memories. Start every day by marching to the beat of your own drum with the Groove and Go Bluetooth Alarm Clock. Lively colors and a cute polka dot pattern are perfect for a femme dorm room, while Bluetooth® capabilities allow you to awaken to your choice of music from your phone. Though the dining hall will likely provide the bulk of your meals, it’s important to have all the supplies you need for cooking and snacking. These cute dorm room dining items will help you satiate your hunger whenever it strikes! Gorging on takeout tastes even better with the Medallion Noodle Chopsticks and Bowl. Colorfully painted with lively patterns and featuring a convenient notch for holding chopsticks, these ceramic bowls are a must-have addition to any dorm room dining collection. Silverware may be a necessity, but it doesn’t have to be boring! Indulge your playful side with the affordable Bamboo 20 Piece Flatware Set. The fun handles will provide a cute detail that will delight of any guests you may invite over for a bite! The TICKAR Dinnerware Series is characterized by its lightweight feel and elegant design, making it great for dorm life. Ideal for the black and white themed dorm room, this affordable set will serve all of your meals in style. Showcase your style (and love of pooches) with this precious Gien Darling Dog Canape Plate Set. Finely crafted to stand the test of time, these cute pup portraits set against fanciful prints will be with you throughout your college years and even beyond if properly cared for. Whether you’re lucky enough to have your own bathroom or are embracing the challenge of sharing with your peers, it’s important to have all the essentials you need to stay clean and looking your best! These useful items will ensure that you will not only survive dorm bathroom life, but embrace it! Minimal yet practical, the DKNY Wavelength Fingertip Towel is the ideal fast-drying addition to your bathroom set. Perfect for carrying to the restroom for face washes, this clean and easy towel jives well with any girl’s taste. These endearing bathroom accessories are sure to make you swoon! The Emily & Meritt Critter Towel Set is an adorable collection featuring silhouettes of cute critters and a charming heart pattern. The journey of expressing yourself can even extend to your bathroom accessories. The Pendleton Los Ojos Oversized Jacquard Towel is a wickedly beautiful cotton towel that’s perfect for drying, whether you’re stepping out of your shower or emerging from a fun swim at your college pool! Though minimalistic, the Original Mesh Shower Bag by Saltwater Canvas is a perfect accessory for wet dorm room showers. The fully waterproof, mildew-resistant canvas allows you to hang all of your things in the shower without any fuss or muss! Channeling the trendy industrial style, the Room Essentials™ Wire Shower Caddy carries all of your toiletries with swagger. The ombre-painted wire gives this shower caddy a distinctive style that’s difficult to find anywhere else! Tote your toiletries in the feminine Bohemian Paisley Deluxe Bath Beauty Set. At once stylish and durable, this mesh caddy even comes with a matching towel to create the ultimate dorm bathroom duo!